Best Food on Wheels | Naan of the Above | Food, Etc. As anyone who's been to Portland can tell you, the mobile food phenomenon that's sweeping urban areas has not quite caught on in Humboldt. As the voting here shows, we're still dominated by family operated Mexican food trucks serving tacos and burritos. The closest we have to a food cart pod is a section of F Street in Arcata where you'll find an Alma's taco wagon, the Mediterranean Pita Grill, a hamburger truck and this year's repeat winner, Naan of the Above, or as one reader put it, that "Indian place in Arcata with the awesome naan and the yellow tent." The short, simple menu features "regional Indian cuisine" with an organic version of the signature North Indian flatbread, naan (with or without garlic), several curry dishes, vegetarian and otherwise, cucumber raita, mango lassi and chai. Note that you must buy a curry dish if you want naan. 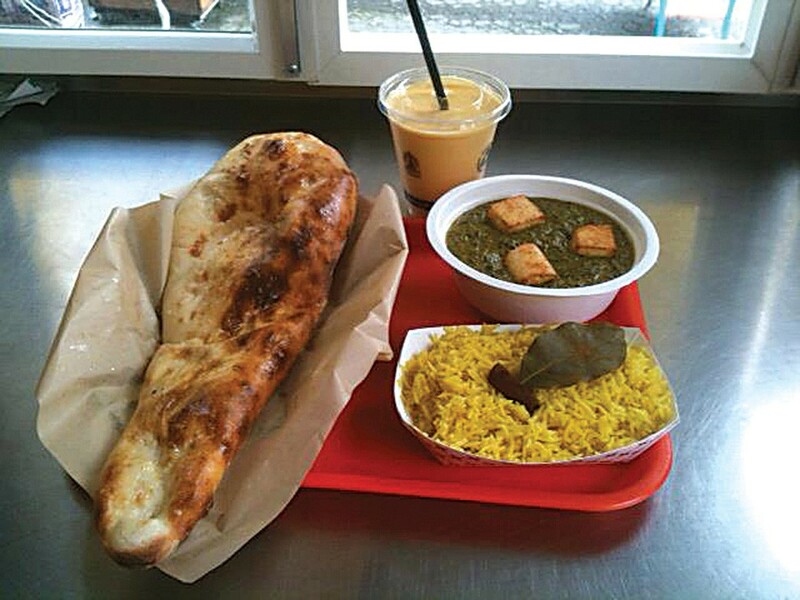 Naan of the Above is at 786 7th St., Arcata, between I and H streets. It's open for lunch and dinner Wednesday through Saturday. The Breakdown: Naan of the Above 28.7%, Speedy Taco 10.7%, Alma’s 9%, Tako Faktory 7.7%, Que Grande 2.9%. Category popularity: 22nd.